6250623 is a 6-pad spring-centered race discs made with high quality ceramic friction materials. The engagement is harsher, but shifting is faster. The heavy duty torsional dampening springs are stronger, in most cases, than standard springs and are provided in the best sizes and spring rates to suit the application. 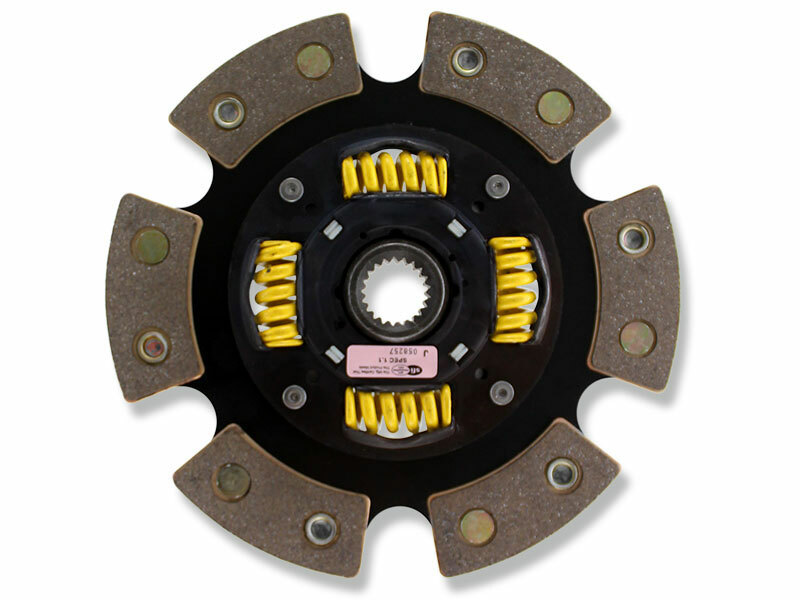 The 6-pad, spring-centered disc is recommended for larger clutch sizes to absorb more heat and for smoother engagement. Note: SS and G6 discs are Sprung Centered for noise reduction on solid ACT Flywheel. Must use ACT Flywheel with Sprung Hub Discs for proper clearance. (Flywheel not included).